Hundreds of thousands voted on Tuesday across Maharashtra to elect 10 major civic bodies, including the BrihanMumbai Municipal Corporation (BMC), India's largest and richest civic body. By 2 pm, at least 31 per cent of Mumbai's 9.20 million electorate had voted. Early voters included top political leaders as well as Bollywood actors. The Tuesday balloting, also to elect 11 Zilla Parishads and 118 Panchayat Samitis across Maharashtra, is seen as a mini assembly election and a referendum on Chief Minister Devendra Fadnavis. The country's commercial capital and the richest civic body has generally recorded a dismal voter turnout but this year officials are hopeful of a change. Controlled by the Shiv Sena and Bharatiya Janata Party (BJP) for four terms, the BMC has a budget of Rs 37,052 crore for the current year (2016-2017) catering to a population of around 18.30 million. In comparison, neighbouring Goa's budget last year was around Rs 14,700 crore. 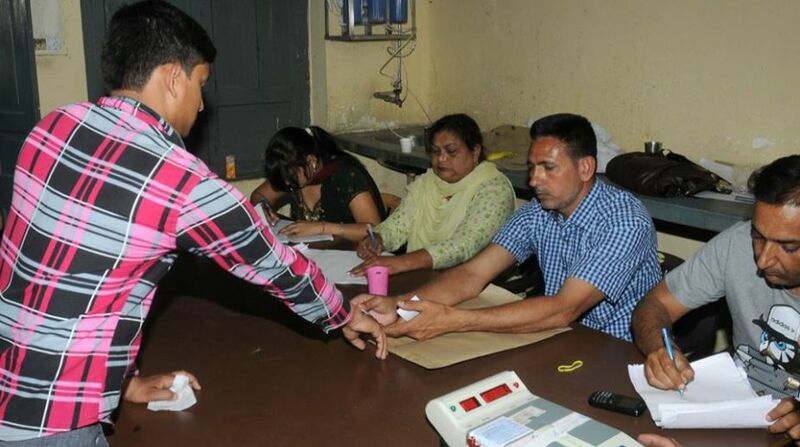 Voting in the first few hours averaged around 18 per cent in other civic bodies like Thane, Ulhasnagar, Nashik, Pune, Pimpri-Chinchwad, Solapur, Amravati, Akola and Nagpur, Election Commission officials said. A generous dose of glamour, glitz and power play was visible in Mumbai at the 7,304 booths to elect 227 BMC corporators from among 2,275 candidates. Maharashtra Election Commissioner J.S. Saharia was among the early voters. And so were Nationalist Congress Party President Sharad Pawar, his daughter Supriya Pawar, Shiv Sena President Uddhav Thackeray and Maharashtra Navnirman Sena President Raj Thackeray. Mumbai Congress President Sanjay Nirupam, Mumbai BJP President Ashish Shelar, Mumbai NCP President Sachin Ahir, Municipal Commissioner Ajoy Mehta, outgoing mayor Snehal Ambekar and former Lok Sabha Speaker Manohar Joshi also voted by noon. Chief Minister Fadnavis and his wife Amruta voted in Nagpur. So did Union Minister Nitin Gadkari and RSS chief Mohan Bhagwat. Among the Bollywood personalities who voted — and asked everyone to vote too — were Rekha, who was in a white sari with dark glasses, actors Prem Chopra, Kamini Kaushal, Ranveer Singh, Anushka Sharma, Shraddha Kapoor, John Abraham and Shreyas Talpade, renowned poet Gulzar and filmmaker Subhash Ghai. Several teleserial actors and Marathi film stars too exercised their franchise. Two nervous grooms in wedding attire, Ankit Lende from Colaba and Mahesh Navale from Parel, voted before proceeding for their marriage rituals. People at the polling booths cheered and complimented them. An electorate of 3.77 crore shall decide the fate of 17,331 candidates for 5,512 seats, including 1,268 in 10 municipal corporations, 2,956 in 11 Zilla Parishads and 1,288 seats in 118 Panchayat Samitis. 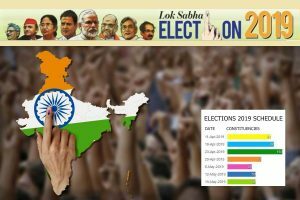 A total of 43,160 polling booths have come up in the state. The results will be declared on Thursday.